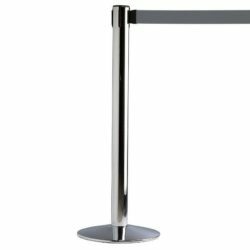 RETRACTABLE STEEL STANCHION BARRIER This nice & affordable stanchion with retractable belt provides you the ability to manage crowds easily. 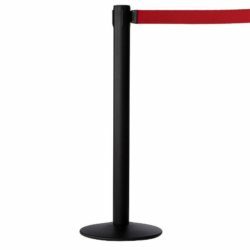 It is ideal deal for temporary directing high levels of crowd traffic in many venues such as hotels, clubs, airports, museums, shops, theatres or restaurants. 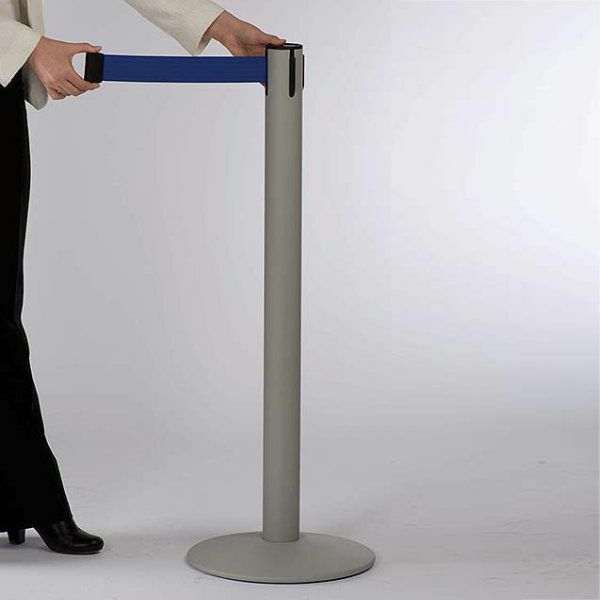 This queue barrier system provides excellent presentation in both commerical and retail space. 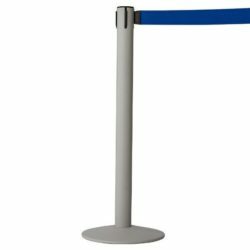 This retractable stanchion system consist of powder coated gray base and post as well as a blue, nylon belt. 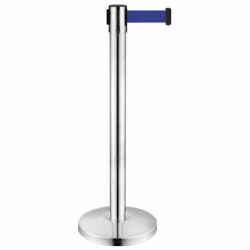 Post and the base have the same finish that presents a stylish look. 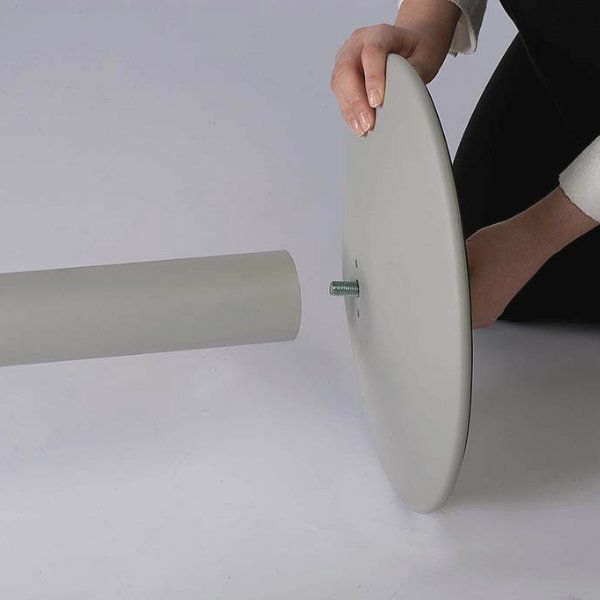 Yet it is also very stable and sturdy due to the heavy weight of the base. 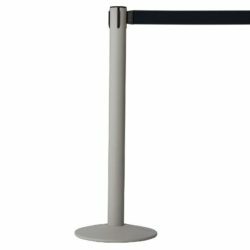 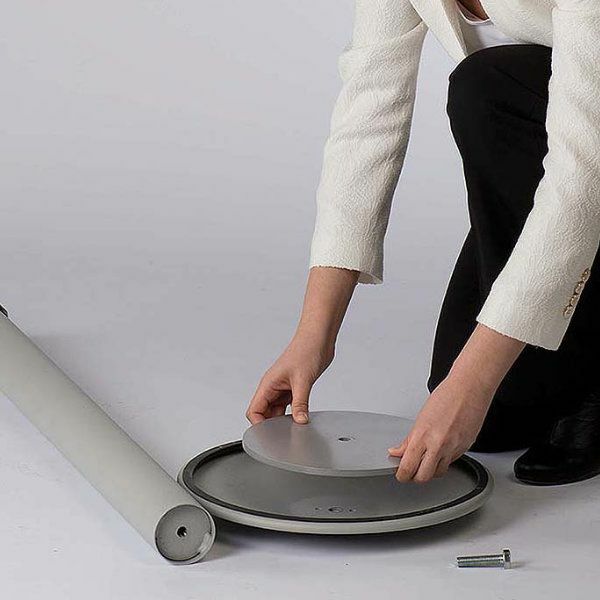 The base of this retractable queue post or as also called retractable stanchion post is rubberized to prevent movement when in use and damage on the floor. 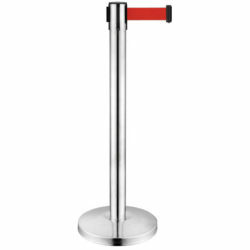 4 ways head on the pole offers 4 different position for the retractable belt. 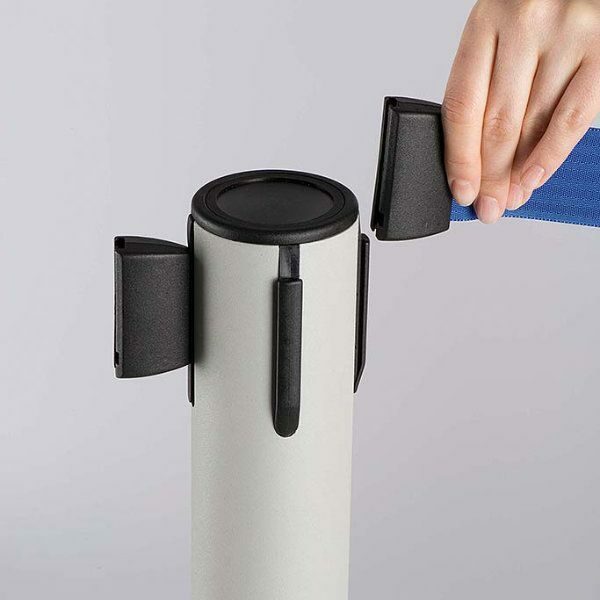 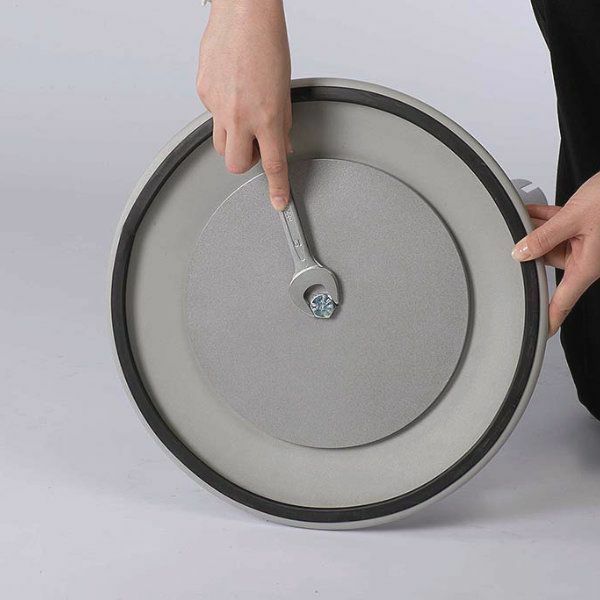 The belt can extend up to 114- 1/6″ and also features a built- in locking mechanism. 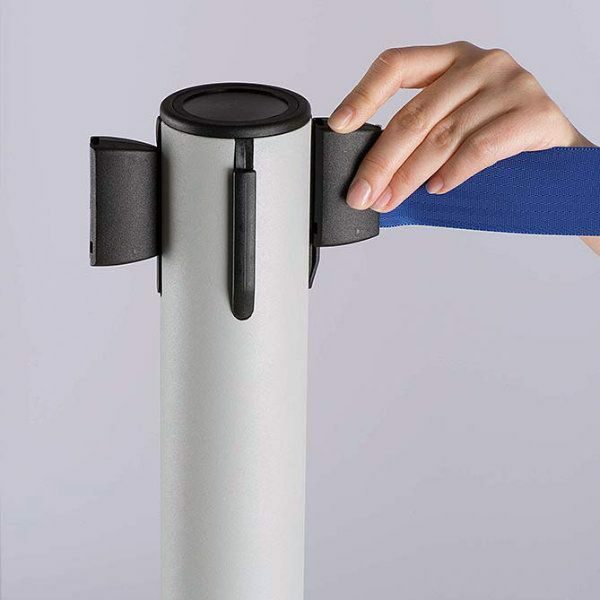 An area of 1- 4/7″ x 103- 2/7″ is available for printing on the belt. Managing crowds is now easy with this steel pole, retractable barrier post.